Dallas, TX, April 10, 2019 --(PR.com)-- Teodoris Mcmath goes by her stage name, Mac Benji, as a female artist from Dallas, Texas. She was born May 14, 1992 to Charlene Mcmath, out of New Orleans; and Teodoro Espada, out of Puerto Rico, who is now deceased. She is known for her entrepreneurship in the company, Getting Benji Money Ent. With her many experiences in the music industry, she grew into a song writer, promoter, producer and recording artist. She lost three loved ones from a tragic situation on January 16, 2016: her beautiful sister, 19 years of age (Torneki Mcmath); her 12 year old talented niece (Ty’reana Mcmath); and her 13 year old niece with gorgeous eyes (Myah Moore). This incident created a huge impact on her goals and accomplishments in life. However, she didn’t let it stop her; instead, she pushed harder. Mac Benji has been performing in the name of her family and city more than ever since the loss of her family and states she will not stop. Mac Benji loves to give to the community and help out those in need as much as possible, simply because she knows what it’s like to be at the bottom. She’s also a leader and mentor to younger generations. Mac Benji has finally released her new single, "flexxin." She has targeted over 20k new listeners in the last 2 weeks; according to one of the hottest bloggers, "this is 50," she's one of the best female artists in Dallas, TX. 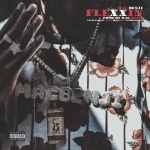 The official video for "Flexxin" can be seen at https://youtu.be/R67l6ZL-EmM. Click here to view the list of recent Press Releases from Getting Benji Money Ent.